Picking a destination to visit on your travels can be difficult, especially with so many diverse options available. However, there are few options better these days than the wonderful Central America paradise of Costa Rica. With more than 4.5 million visitors last year, and a growing ecotourism sector travel in Costa Rica is one of the top choices for an adventure this year. It might not be a place you’ve considered trying before, but there is a lot on offer in this developing nation. It’s also a country that continues to impress in so many different ways – did you know, in 2017, Costa Rica’s electricity was run entirely by renewable energy for almost a whole year? These guys are making a lot of changes and doing some positive things, and this makes them a great place to visit. Here are six of the key places you need to check out when you travel to Costa Rica. If breathtaking beach paradises are what you are after, then look no further than Tamarindo. This is a popular destination for families and ecotourists, which offers year-round sunshine, exquisite scenery, and a wonderfully laid-back kind of atmosphere. Situated on the country’s Pacific Coast, Tamarindo’s beaches are perfect for surfing, for instance, Playa Grande. You should also try to check out Las Baulas National Marine Park as well. La Fortuna is a small, picturesque town nestled to the northwest of the nation’s capital, San Jose. What makes La Fortuna unique, and earns it a place on this list, is that it lies at the base of two volcanoes! Indeed, the town is a gateway to Arenal Volcano National Park, with Arenal Volcano (active) and Chato Volcano (dormant). There is also a breathtaking nature trail here that leads to the iconic La Fortuna waterfall. This is a place you absolutely must visit in order to make the most of your travel to Costa Rica. Another of the amazing places this country has to offer is the Pacuare Nature Reserve. It’s hard to explain the impressive impact this place will have on you, and how important it is to the area as well. For example, visitors get to see leatherback sea turtles and help with their conservation. This is an experience that makes a difference to the country and the local ecosystems within it. And it’s beautiful to see nature up close and personal as well. No visit to Costa Rica would be complete without taking a trip to the bustling capital San Jose. Architecturally stunning, and surrounded by lush valleys and impressive mountains, this is a capital city that strikes the perfect balance. There is plenty of modernity here, but the locals go to the effort to keep their roots alive as well. This is the perfect place to do some shopping or relax and enjoy refreshments when you travel to Costa Rica. Montezuma is most likely a name you will have heard even if you have never been to Costa Rica. Up until the ‘80s, this remote fishing village was just a sleepy town in the south of the Nicoya Peninsula. Then it became one of the top budget travel spots and remains hugely popular with young travelers. Cabo Blanco National Park lies nearby, as well as Isla Tortuga, and plenty of other excellent tourist hotspots. This is most definitely a place to check out, especially if you love a laid-back vibe! This is one of the most fun and diverse spots in Costa Rica. As well as being wonderfully beautiful, the park has one of the largest living coral reefs on the Costa Rican coast. And this is the perfect opportunity to explore the aquatic delights of the country. 1Cover’s blog, The Secret Traveller, recommends learning to dive so you can travel to beautiful locations like Costa Rica and explore the oceans and waterways here. Cahuita is most definitely the right place to do this and will open you up to many more experiences. Costa Rica is a beautiful, diverse, and culturally alluring country, and one you should definitely visit. These are just a few of the great places out can check out when you travel in Costa Rica, and they are sure to present you with the best possible experience. Matt is an intrepid traveler who has spent a large portion of his time in Asia, South America, and New Zealand. 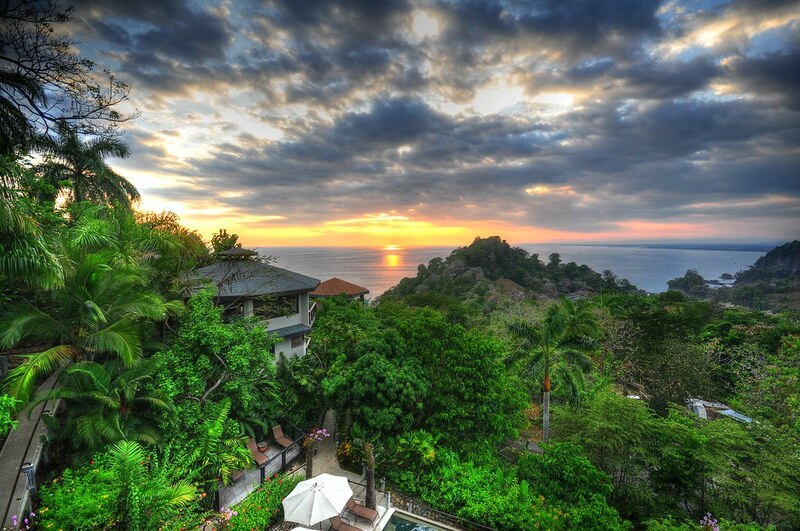 Did this post inspire you to pack your bags and head down to beautiful Costa Rica? If so, our expert LocalAventura travel team is here to help every step of the way! Click here to book a 30 minute info call today!